Though a theme park is a business made to capitalize on the idea of spending some time in a fantasy land, they do require a great deal of genuine imagination. Someone has to think up concepts, structure, layout, design, as well as the stories behind the attractions. Despite knowing they are a product, done successfully, the experience can be quite magical. The animated family adventure Wonder Park is about a theme park that is literally made of magic. It has rides that really fly, slides that go up to the sky and all sorts of other amazing sights. This is a movie about the power of imagination and how we need to hold on to it, even when we start to grow up. Contrary to that premise, the story is flat and rushed, with forgettable characters. The voice cast does good work and the visuals are enjoyable when it slows down enough for us to get a long look. But this is mostly a mild letdown. With the help of her mother, young, creative, June comes up with an amusement park called Wonderland, populated by talking animals and rides that defy reality. June is very into the fantasy until her mom gets sick and leaves home to get treatment. That causes her to throw all her Wonderland stuff in a box. Then, she goes wandering in the woods and discovers Wonderland is real. Now only she can save it from the darkness threatening to destroy it. Things begin promisingly enough. June is a cute and enthusiastic hero. The scenes of her excitedly creating the park are kind of fun. Sadly, once she gets to the real Wonderland, it turns into a run-of-the-mill kids adventure with little of the imagination June herself has. It is a lot of noise with not much substance. I wanted to hang out in Wonderland and look around for a while. Unfortunately, the screenplay (by Jewish writing team Josh Appelbaum and André Nemec) would not let me. 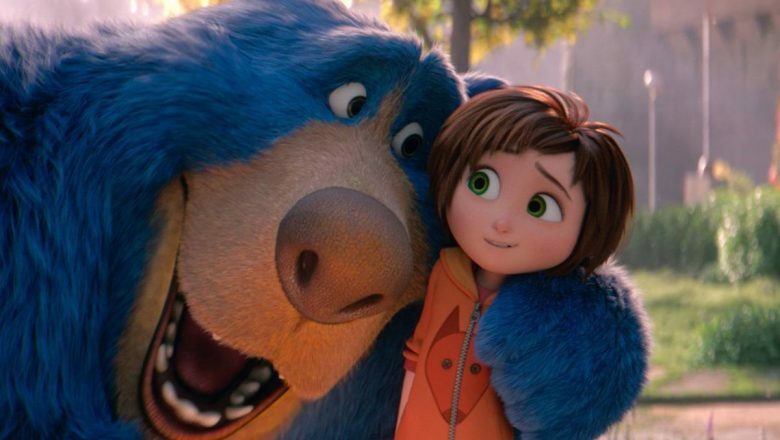 Wonder Park is far too busy with its dull action to actually give viewers a sense of wonder. That is too bad because the actors do a good job making the characters distinct. Brianna Denski is sweet and lovable as June. Her childhood curiosity and too-grown-up-for-her-age fears are both relatable. Jewish actress Mila Kunis is quickly able to establish herself as responsible and brave as the boar, Greta. John Oliver is pretty funny as cautious porcupine Steve. Ken Jeong and Kenan Thompson will probably entertain kids as the fighting beavers, Cooper and Gus. Ken Hudson Campbell is the friendly narcoleptic bear, Boomer, Norbert Leo Butz is the magical monkey, Peanut, and Jennifer Garner and Matthew Broderick are June’s attentive parents. Hearing everyone’s energy early on gave me hope Wonder Park would be fun throughout. The last 45 minutes squander the majority of its better qualities. For parents, I would say this is fast-paced, never gets too dark and has some very positive messages. It will likely keep kids’ attention, even if it loses yours. Additionally, there is no toilet humor or pandering pop-culture references. It is mostly pleasant, I was just disappointed it went away from the characters and themes in favor of yelling, repetitive arguing and running around. There is a lot of potential in Wonder Park’s design, it is just unable to fully develop into the fun ride it seems like it could have been. Head to https://www.benpivozmoviereviews.com for more reviews from Ben.